Exiles players celebrate their Dubai Sevens title in December. 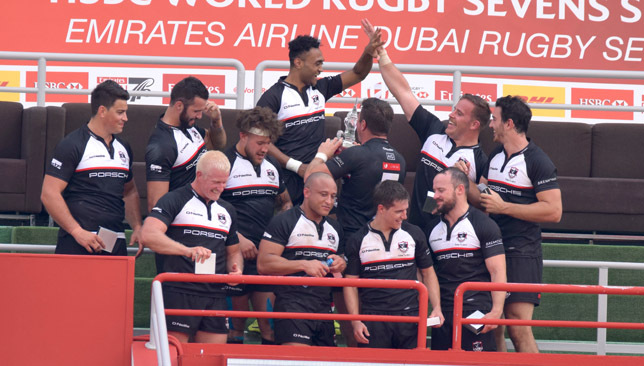 Dubai Exiles surrendered control to lose their West Asia Premiership opening game to champions Jebel Ali Dragons – but head coach Jacques Benade was pleased with his side’s performance. Exiles – double winners last season after collecting the Dubai Sevens and UAE Premiership titles – arguably had the most difficult start to the new 2018/19 campaign last Friday as they welcomed Mike Phillips’ men to The Sevens Stadium. 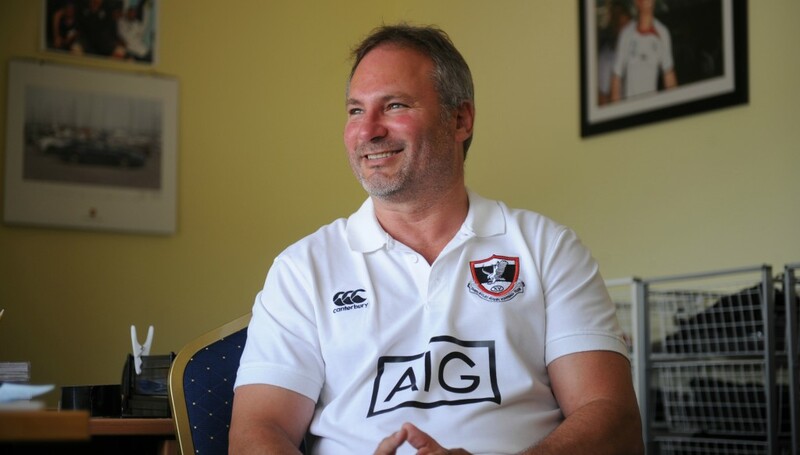 They went down to a 20-14 defeat, but director of rugby Benade bemoaned the fact poor decision-making led to his side giving up an eight point lead in the second half. “Of course I’m always disappointed in losing the game but there were also a lot of positives,” said the South African. Victory provided former Wales and British & Irish Lions scrum-half Phillips with a debut win in his first competitive fixture since taking over at Dragons following Henry Paul’s departure to be assistant coach of the Canada national team. Jacques Benade was pleased overall following a narrow defeat to champions Jebel Ali Dragons. Dragons won the Premiership last term – overcoming Bahrain on the final match day to rip the title away from Abu Dhabi Harlequins. And after a summer recruitment drive which has included the acquisition of Phillips as coach, they are the early favourites to retain their title. They displayed their credentials as they fought back at Exiles, a penalty try and a fine counter-attacking score seeing an eight point deficit quickly turned into a three point lead. “Going up 11-3 in the second half I thought we were in control but with an unnecessary penalty try and a bad clearance kick we suddenly found ourselves behind 17-14,” added Benade, who led Exiles back to prominence last season after a woeful 2016/17. “Our set-piece was fine and we looked strong for the first 55 minutes, earning a scrum penalty and also stealing two or three of their lineouts. But it eventually cost us the game as we struggled in the last 25 minutes, losing key lineouts at good attacking positions and also put under severe pressure in the scrums which led to the penalty in our 22. And, ultimately, Benade and his players will come out of the game knowing the positives outweigh the negatives. “As I said, I’m happy in that we are creating opportunities, we just now need to finish them off,” added the former Emerging Springboks fly-half. In the weekend’s other games, Bahrain won 24-14 in Abu Dhabi as they overcame hosts Harlequins, while Dubai Hurricanes beat Dubai Eagles 20-13 in a repeat of last term’s West Asia Trophy final. Farrell was superb on Sunday as the champions claimed a fourth successive bonus-point win to secure first place and he will now join Eddie Jones’ training squad for a three-day camp in Bristol. Aki last came up against Tuilagi in a college game 12 years ago. 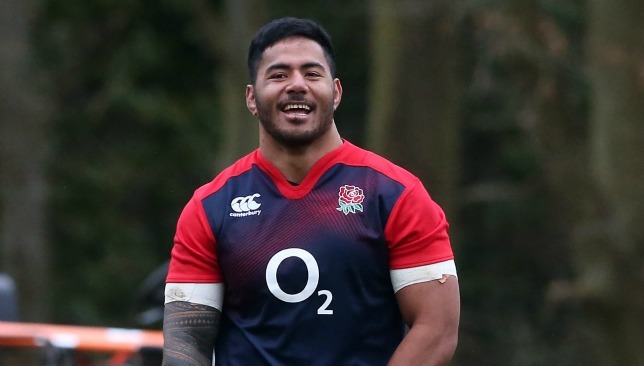 Manu Tuilagi has suffered a fresh injury blow and withdrawn from England’s training squad for their three-day camp in Bristol. The Leicester centre, who has recovered from a career-threatening groin problem and successive knee surgeries among a series of other injuries, had been hoping to make a first England appearance for two years, and potentially his first start in four years, this autumn. However, the Rugby Football Union announced on Sunday the 27-year-old would not be involved in training this week. Tuilagi played in the 44-37 defeat to Worcester in the Gallagher Premiership earlier in the day, alongside Ben Youngs – who has also withdrawn. Harlequins prop Joe Marler, who has won 59 caps and acts as England’s second-choice loosehead behind Mako Vunipola, also misses out. Marler was due to link up with the 36-man party on Sunday but has pulled out for personal reasons. His place will now be taken by Exeter’s Ben Moon. Worcester’s Nick Schonert is another injury withdrawal, while Leicester’s Jordan Olowofela – who reached the World Rugby U20 Championship final with England this summer – has been called into the party. England will name their squad for the November internationals on October 18 before they fly to Portugal ahead of matches against South Africa, New Zealand, Japan and Australia at Twickenham.